Where & When: Arlington, Va., on Saturday at 10:30 a.m. The basics: The U.S. Air Force Band will kick off the 64th National Veterans Day Observance followed by a Presidential Armed Forces Full Honors wreath-laying ceremony at the Tomb of the Unknown Soldier at 11 a.m. The Department of Veterans Affairs will host an observance program at the memorial amphitheater directly afterward. Where & When: On Saturday at the U.S. Navy Memorial at the 1 p.m. The basics: The event will feature guest speaker Command Master Chief Charles Baldwin and include the United States Navy Band and Ceremonial Guard. The basics: The event will feature special remarks from former Defense Secretary Chuck Hagel and Maya Lin, who designed the memorial. In 2016, she was awarded the Presidential Medal of Freedom by President Barack Obama, the nation’s highest civilian honor. The basics: This event will feature music by “The President’s Own” United States Marine Chamber Orchestra and the Washington National Cathedral Choir. Where & When: On Saturday, the parade will kick off at 11:15 a.m at 26th and Fifth Avenue, heading north on Fifth Avenue to 52nd, where it ends at 3:30 p.m. The basics: This is the largest Veterans Day event in the nation, with hundreds of thousands of spectators lining the route. The parade features one service every year ― this year it’s the U.S. Air Force. When & Where: Saturday at Soldier Field, Gate 0 at 11 a.m.
Where & When: On Saturday, the parade kicks off at 11 a.m. where Montebello Drive meets Central Avenue. It will head south on Central Avenue to Camelback Road, turn east on Camelback Road to 7th Street, turn south on 7th Street and end at Indian School Road. The basics: This is the 20th annual Veterans Day parade. It will feature eight veteran grand marshals, each representing an era of military service dating back to World War II. Over 2,500 people are participating in the parade, including floats, bands and marching units. Where & When: On Saturday, the parade will kick off at 11 a.m. at Orange Avenue and Robinson Street. The route ends where Robinson Street and Rosalind Avenue intersect. The basics: This is the City of Orlando’s 18th annual Veterans Day Parade. This year’s theme is Healing the Invisible Wounds of War, placing a special emphasis on the mental and emotional well-being of veterans as well as their families. Where & When: On Sunday, the parade kicks off at 11 a.m. at the Embarcadero and will wind its way through Fisherman’s Wharf. The basics: The parade, commemorating the centennial of WWI, will include 100 veterans from Bay Area motorcycle clubs, units from seven San Francisco high school JROTC programs and the Lesbian/Gay Freedom Band among others. A large group of veterans will carry flags of the 50 states. Where & When: Veterans Tribute Tower and Carillon in San Diego, Calif., on Saturday at 4:15-5 p.m. The basics: The commemorative service will feature guest speaker Congressman Scott Peters with music played by the Carillon, including a rendition of “Taps” at 5 p.m.
Where & When: On Saturday at the Alamo from 9 a.m. to 8 p.m. There will be a wreath-laying ceremony at 10:00 a.m. and the 323nd Army Band will perform from 10:30-11:30 a.m. The basics: All active-duty members of the military and veterans are invited to tour the Alamo for free with one guest. Where & When: 451 Jefferson Street, San Antonio on Saturday. There will be a JROTC drill team competition at 8 a.m. The wreath-laying ceremony will be at 10:00 a.m. with the parade kicking off at 12 p.m. The basics: The wreath-laying ceremony will include one member from each branch of the military carrying a wreath to the Alamo. Where & When: The U.S. Army Airborne & Special Operations Museum in Fayetteville, N.C., will be host to the Wall through Monday, and there will be a dedication ceremony on Saturday at 1 p.m. 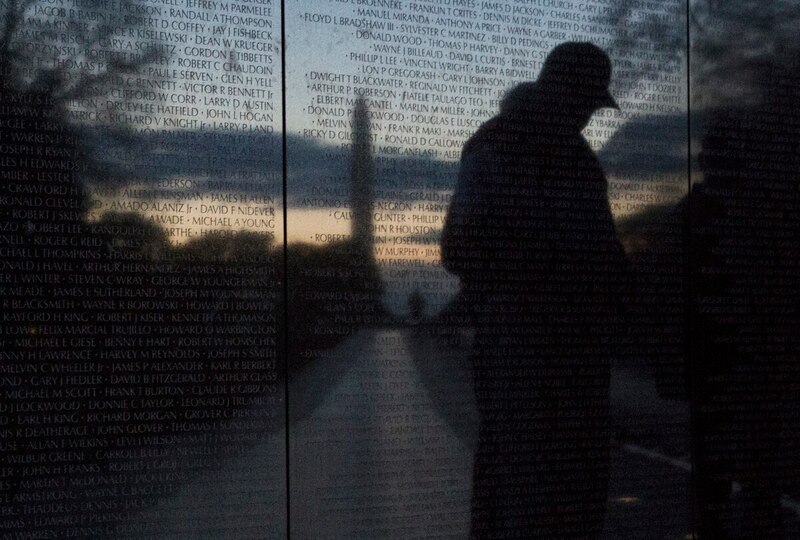 The basics: The half-size replica of the Vietnam Veterans Memorial in Washington, D.C., that tours the nation will be in Fayetteville for 5 days. Where & When: On Saturday the parade will kick off at EverBank Field at 10:15 a.m. The route will continue down Bay Street to Newnan Street, follow to Independent Street, which turns in to Water Street, and will end at the Prime Osborn Convention Center. The basics: The parade will feature over 4,000 participants, and spectators are encouraged to wear red, white, and blue and bring their flags. Puja Murgai is Special Projects Editor for Military Times.